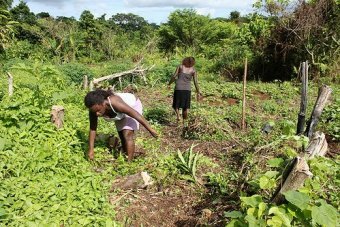 An environmental group is offering $US9 million in grants to help non-government organisations fund projects in Solomon Islands, Vanuatu and Papua New Guinea. The International Union for Conservation of Nature says it wants to fund work that will protect biodiversity in the region. Empower local communities to protect and manage globally significant biodiversity at priority key biodiversity areas underserved by current conservation efforts. Integrate biodiversity conservation into local land-use and development planning. Safeguard priority globally threatened species by addressing major threats and information gaps. Increase local, national and regional capacity to conserve biodiversity through catalyzing civil society partnerships. The IUCN’s Luisa Tagicakibau says there are countless habitats that need protecting and is calling for groups to submit proposals. “These islands are highly biodiverse and hold exceptional cultural and linguistic diversity,” she told Pacific Beat. 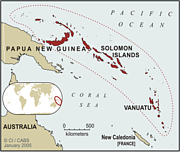 The IUCN is targeting 20 key biodiversity areas covering 1.5 million hectares. “There are so many cultural and linguistic diversities at play in this region and because only a few people are speaking certain languages, they’re fast disappearing,” Ms Tagicakibau said. The money is being provided by the Critical Ecosystem Partnership Fund, which is a collaboration of seven different bodies including the European Union, the Japanese and French governments and the World Bank. The IUCN says groups have until August 26 to submit proposals for funding.